Find funeral homes, mortuaries, cemeteries, funeral directors, and memorial chapels by using our Funeral Home Listings. This is a resource to find local funeral facilities and funeral services across the USA. 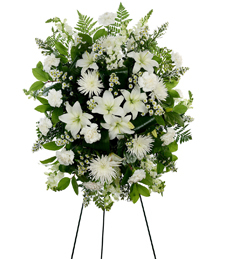 Search our funeral directory by typing in facility name, city, or zip. You can also browse by city and state to find the best provider for the type of service that best suits you and your family. We have thousands of funeral home listings. GREENVILLE, Pennsylvania – Andrew Raiti, 90, of Greenville, passed away peacefully on Monday, July 17, 2017 at home in Greenville, Pennsylvania.Andrew was born on January 23, 1927, a son to John and Sophia (Bedzila) Raiti in Youngstown, Pennsylvania.